Koninklijke Van der Most is the largest envelope manufacturer in the Netherlands and provide envelopes for many organisations. We produce a wide range of envelopes in-house at our own manufacturing facility. With our production capacity of 6 million envelopes a day, we are able to process, produce, and distribute orders very rapidly. A special imprint, gold or silver foil, cloud-shaped windows, and many other gadgets ensure that people refrain from simply throwing an envelope in the bin unopened. After all, envelopes are not just an important part of an organisation’s printed materials and mailing package, but also a great way to draw addressees’ attention to a promotional campaign. We have a wide range of machinery, including a excellent offset printing setup that enables us to fulfill all of your wishes in this area. Modern envelope-filling machines require that envelopes have a high degree of processability. 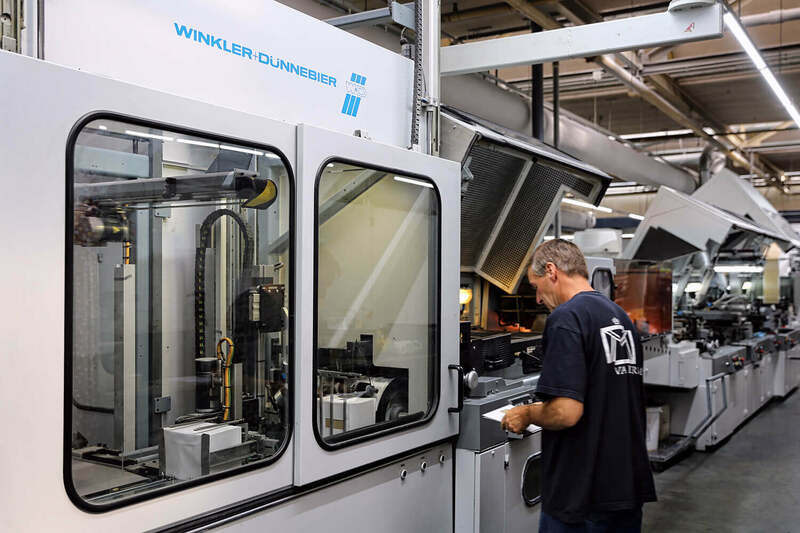 To be able to satisfy this demand for perfect processability, we manufacture our envelopes using machines that are the best of their kind in Europe. For bulk clients such as banks, ministries and insurance agencies in particular, such error-free processing is very important. We use both sheet-fed printing and rotary printing to produce our envelopes. They are printed right away during manufacturing (flexo) or indirectly by way of flexo reprinting or offset pre-printing/reprinting. 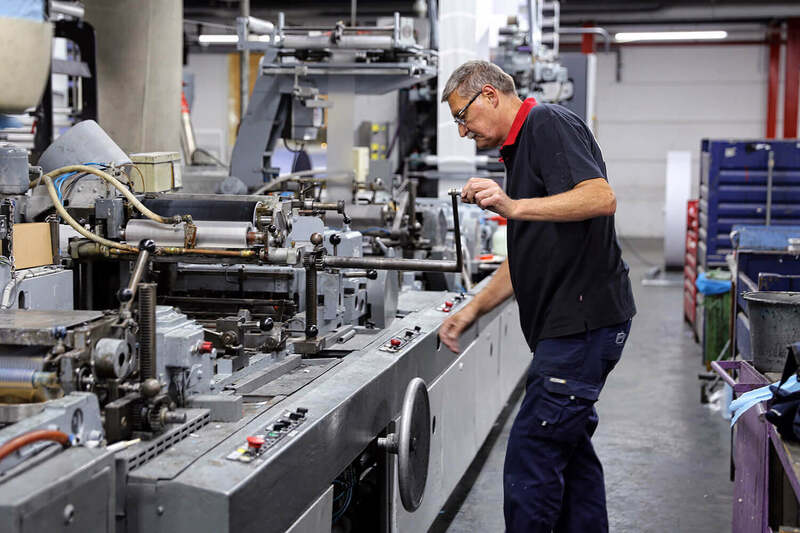 We have our own reprinting facility with 2- and 4-colour offset presses for reprinting envelopes if needed. Document mailers feature a flap on one of the short sides and are used as part of a company’s corporate identity. These are used to mail films, photos, and/or printing proofs. These envelopes are used by financial service providers to mail financial statements. Banker envelopes feature a flap along one of the long sides, and are used as part of an organisation’s corporate identity. These are sent with the aim of obtaining a response from the recipient. They are suitable for bulk use and automated filling. Reinforced envelopes for shipping things like machine parts. Padded envelopes are used to mail fragile and easily damaged contents. These are used to mail books, annual financial reports and the like. These are part of your overall corporate identity. These are used for forwarding documents or mail internally. These used to be used to package employees’ weekly wages or overtime bonuses. Also see wire-reinforced envelopes and padded envelopes. Envelopes that are used to ship samples and/or models. These are used to ship confidential materials, with the A4 sheets folded lengthways. Envelopes that are suitable for mailing giro transfer slips. Envelopes for sending mourning cards, characterised by their black/grey outline. Transparent envelopes for sending things like brochures and magazines. Incredibly durable envelopes that cannot be torn apart and are water resistant. These are used for Christmas cards, congratulatory cards, invitations and the like.